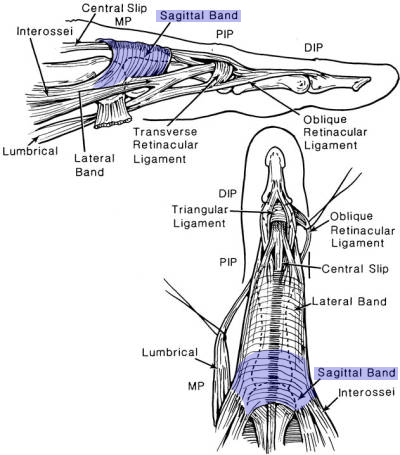 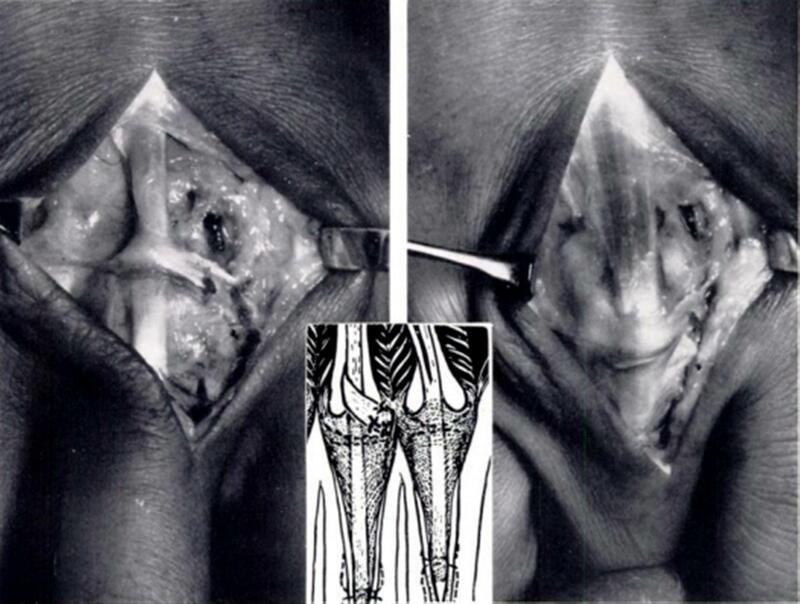 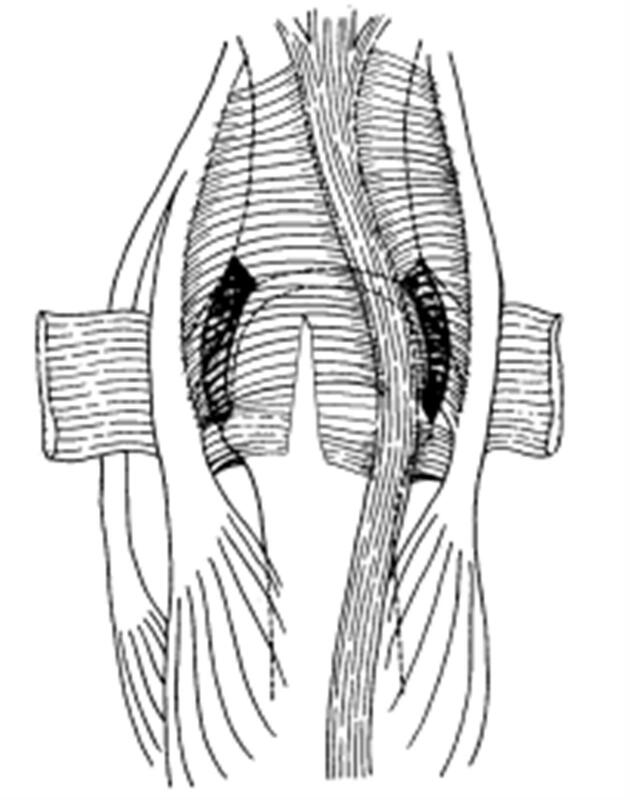 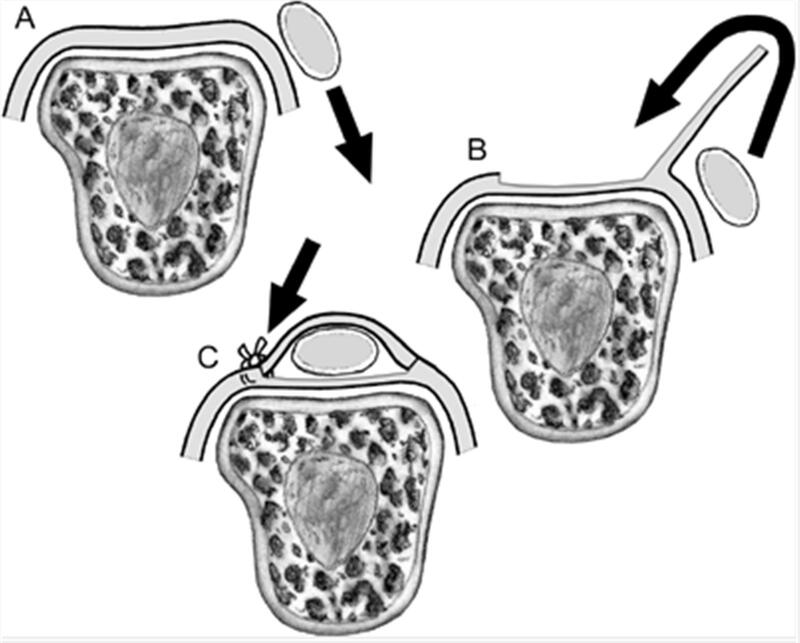 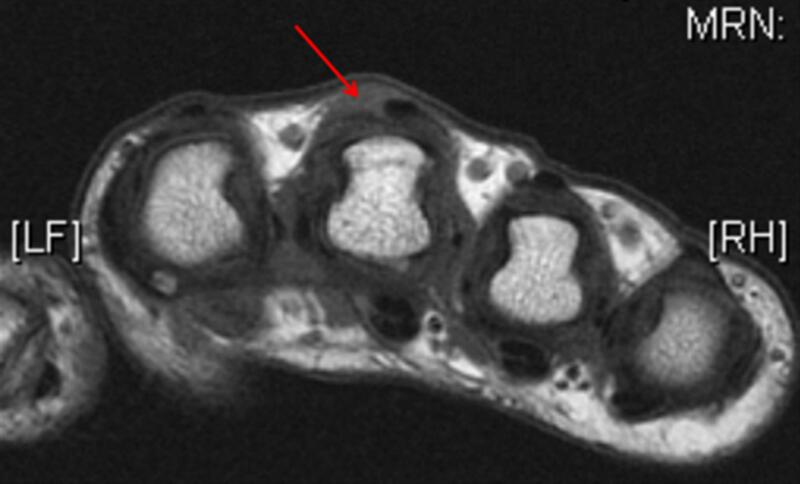 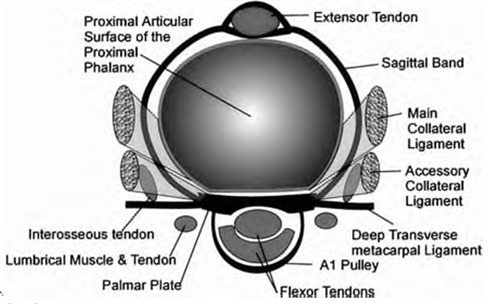 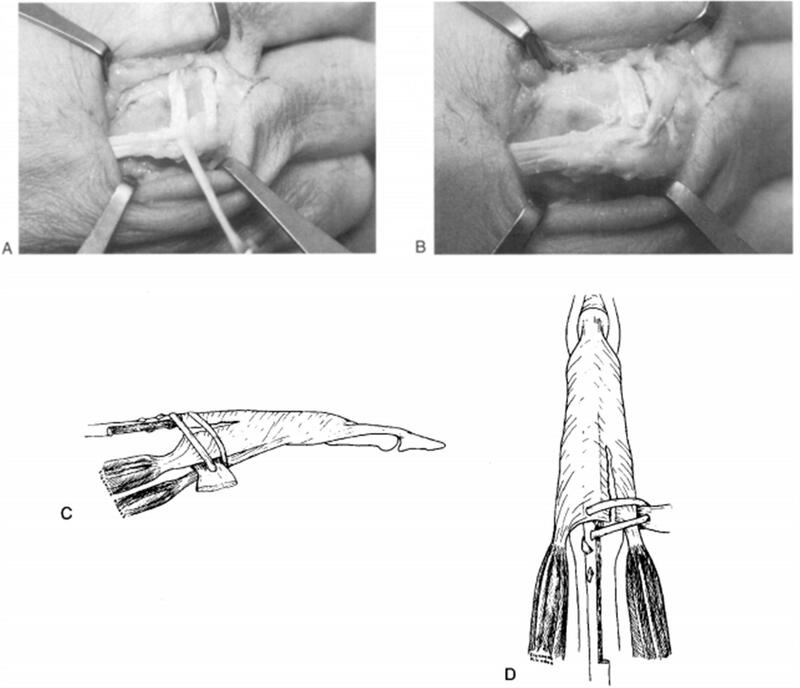 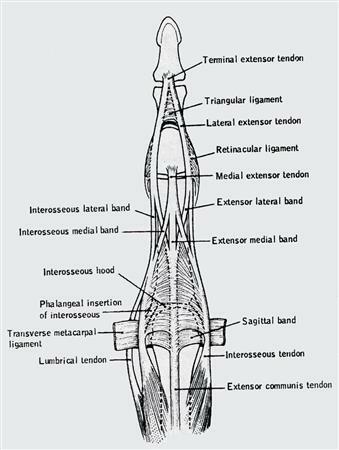 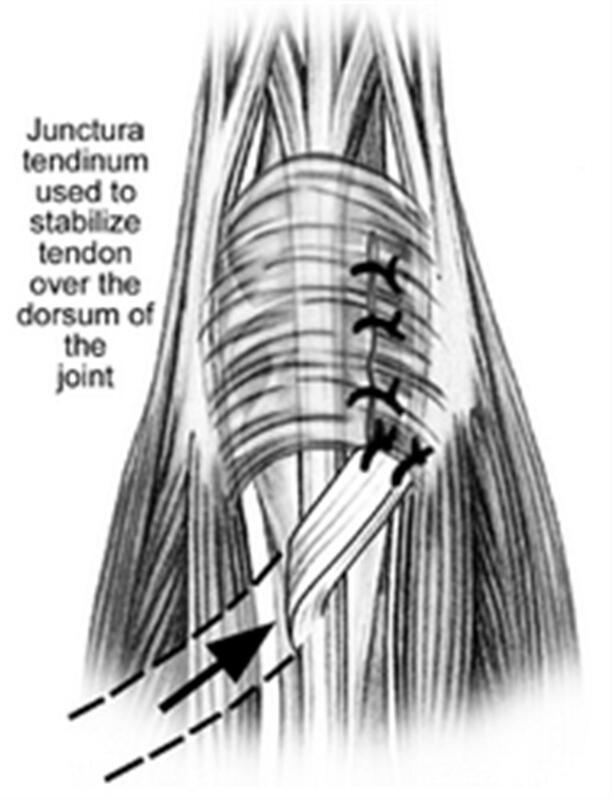 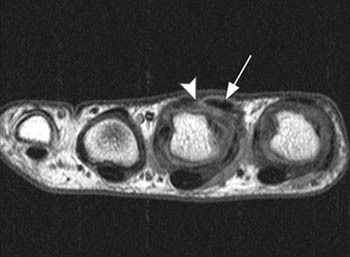 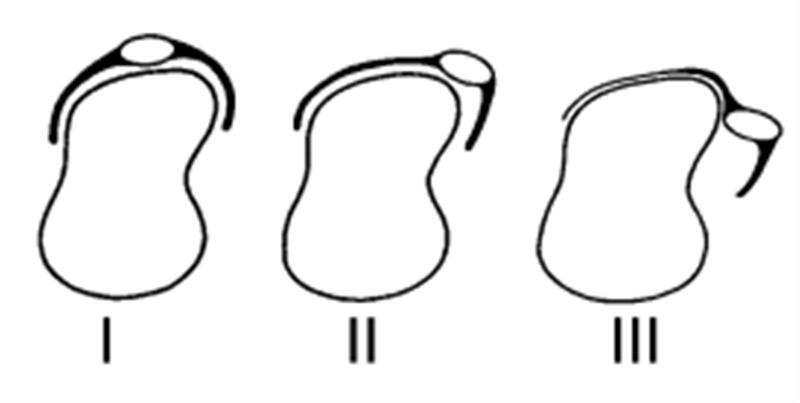 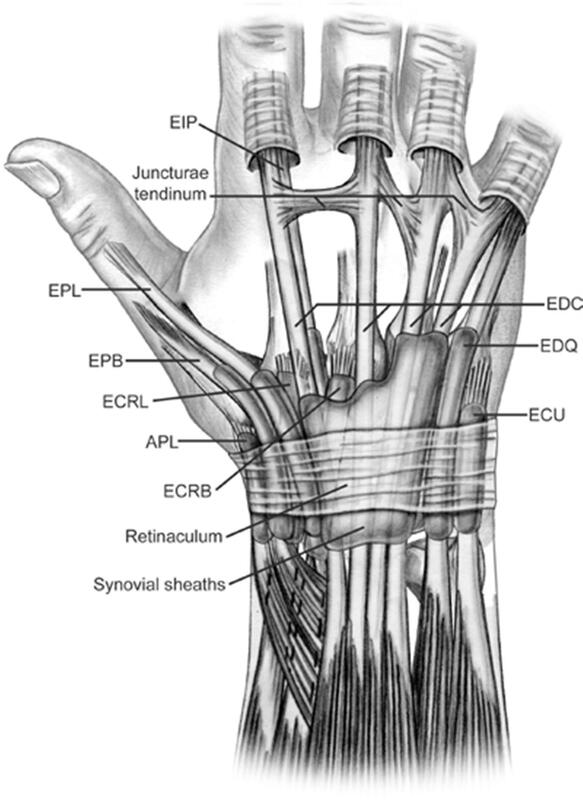 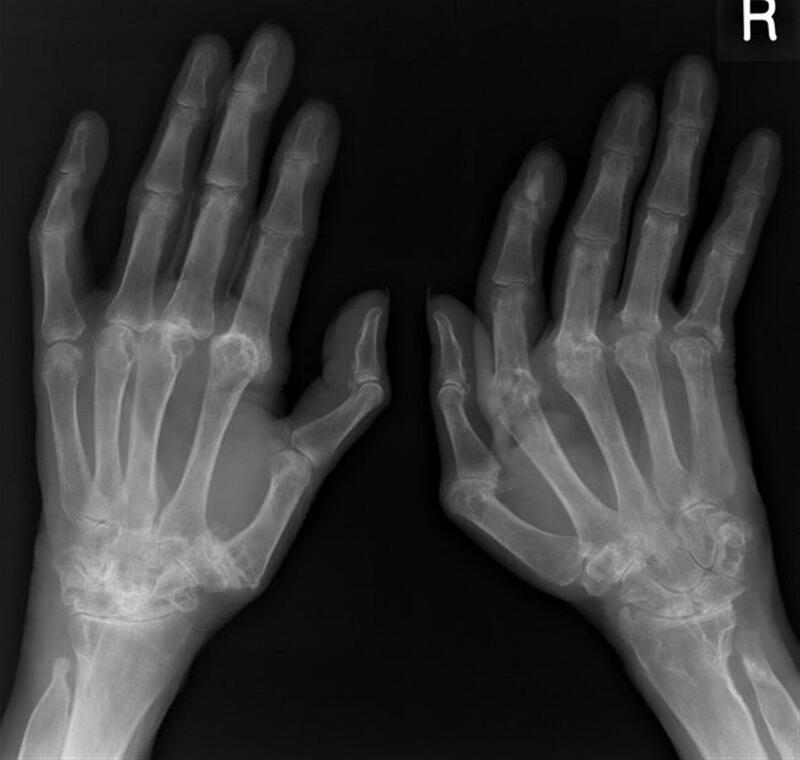 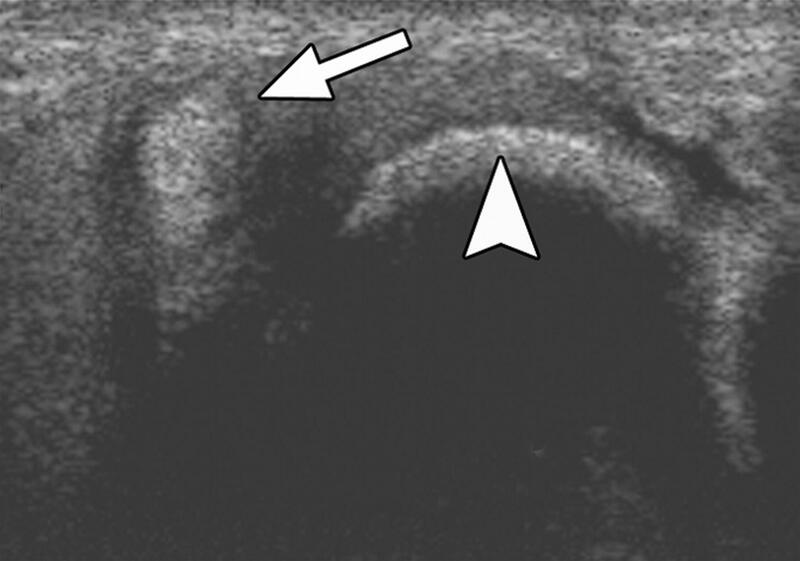 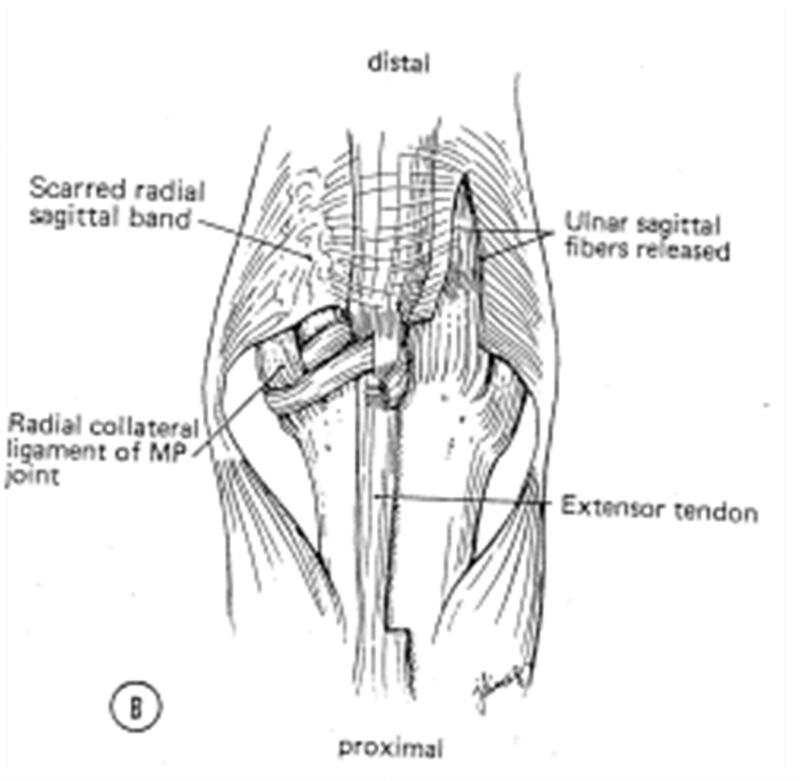 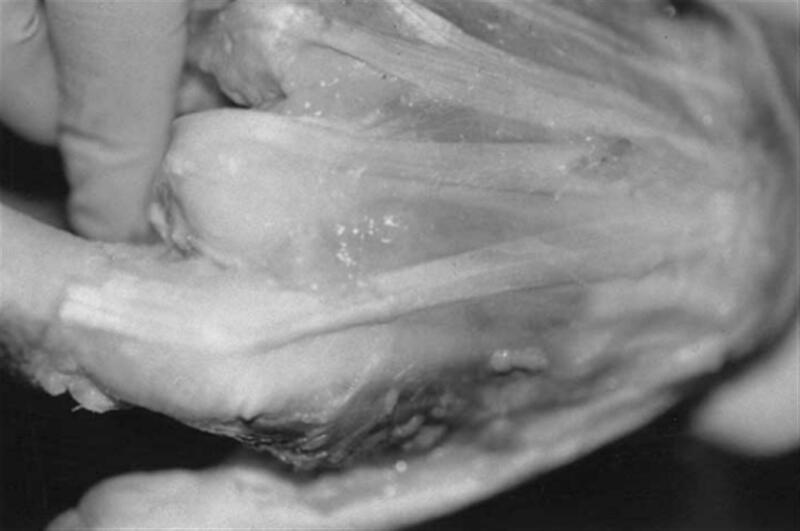 Sagittal band (SB) rupture leads to leads to dislocation of the extensor tendon and may be caused by trauma or by a chronic inflammatory process such as rheumatoid arthritis. 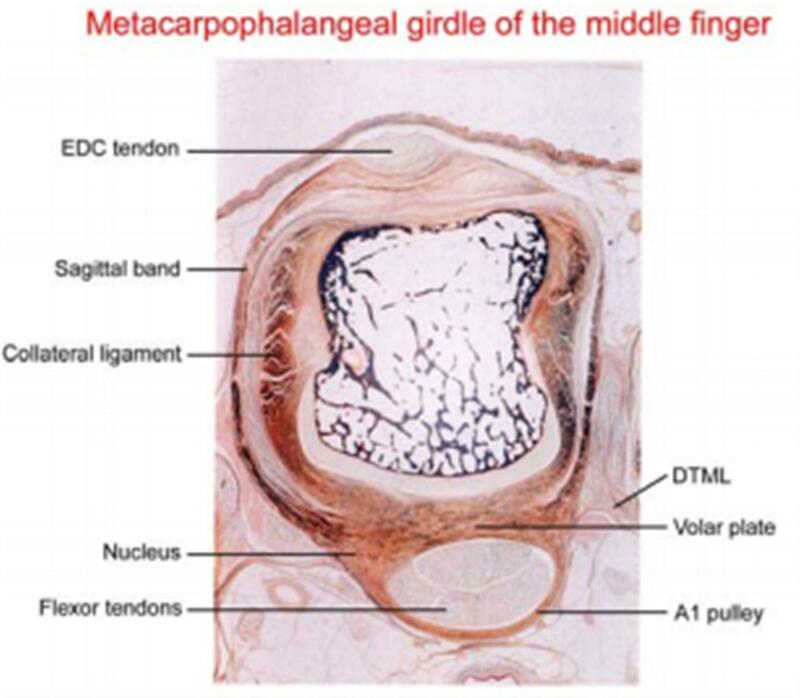 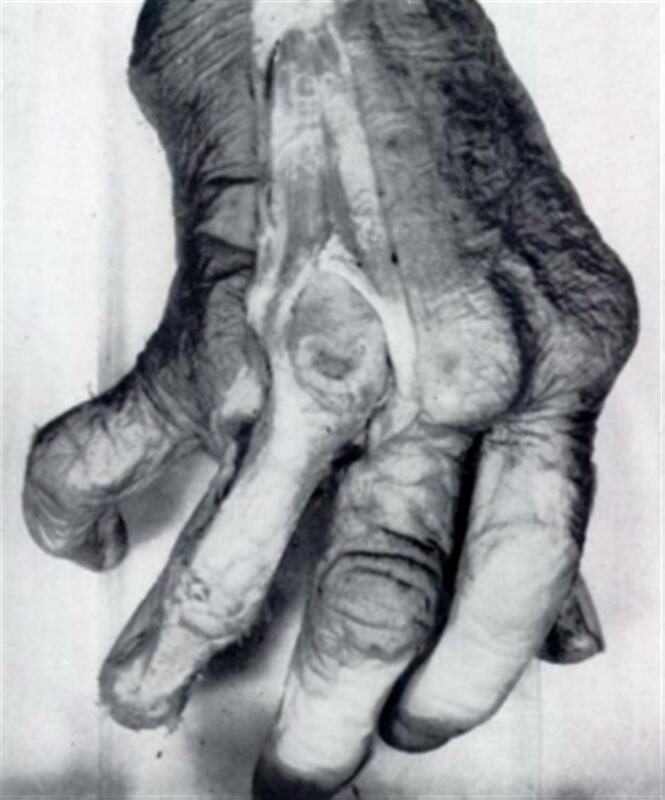 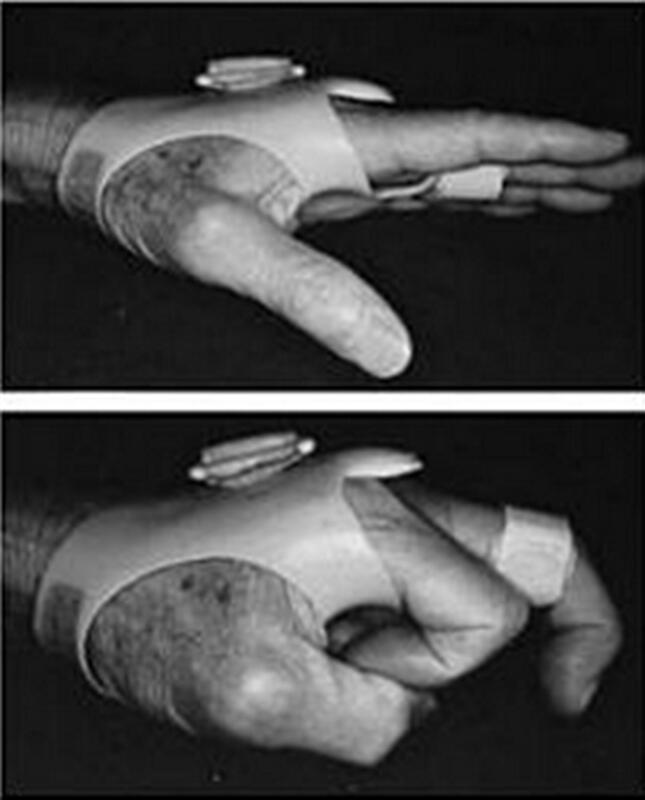 when it is caused by trauma it is also known as a "boxer's knuckle". 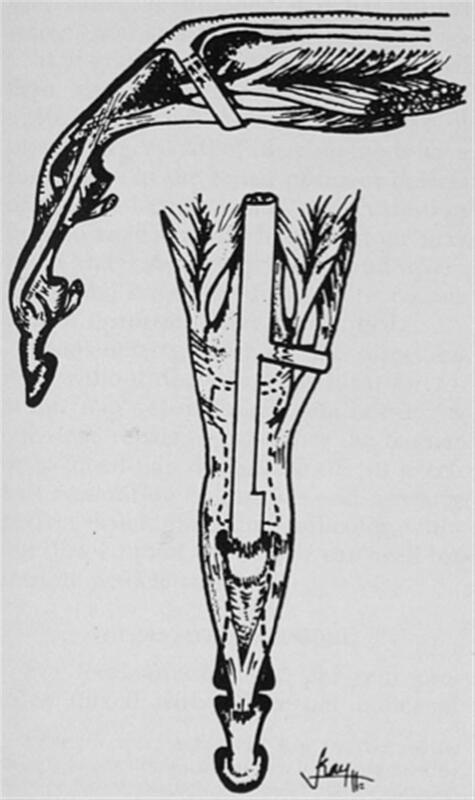 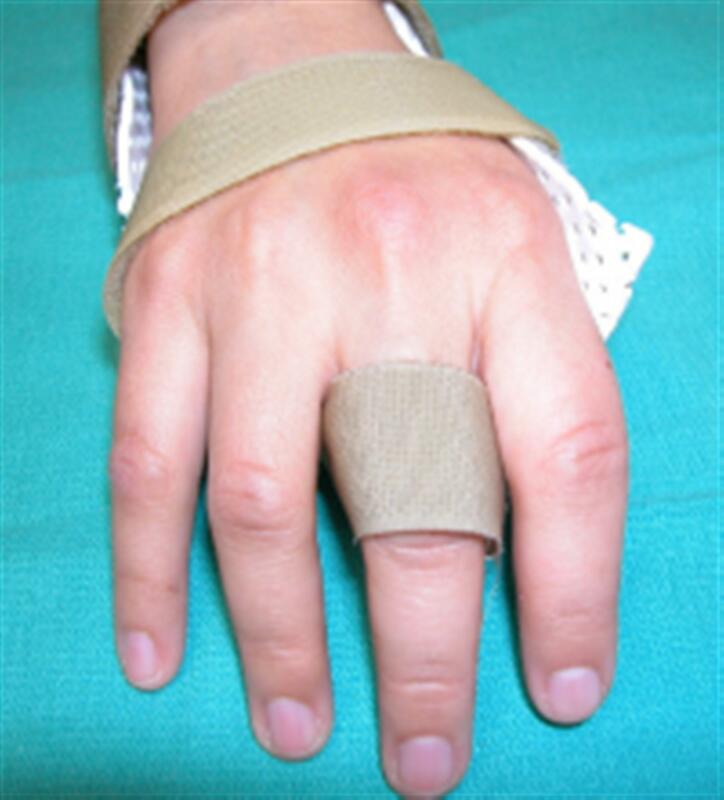 acute traumatic injuries are treated with splinting where chonic injuries often require surgical reconstruction.